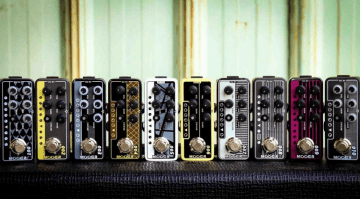 Mooer has been busy in 2017, what with the whole slew of preamps at NAMM earlier this year, plus of course the Devin Townsend Ocean Machine finally getting a release as well. So now they are announcing ahead of Musikmesse next week, their new Tender Octaver Pro, Mod Factory Pro, Baby Bomb 30 and Red Truck pedals! 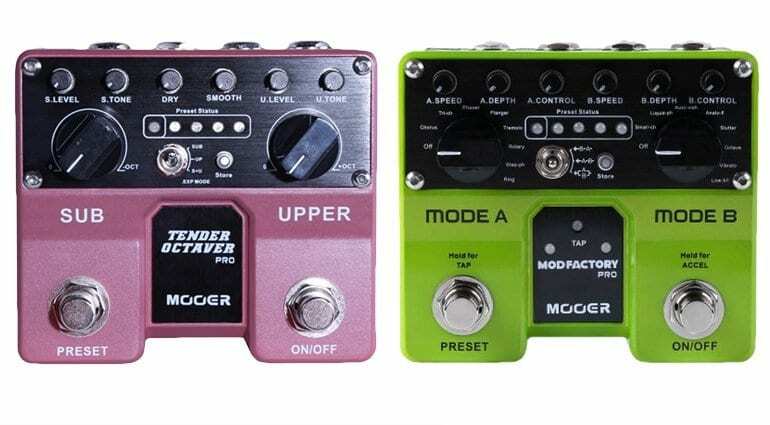 Both these new effects are twin pedal versions of two already popular Mooer pedals from the company and appear to give us, even more, features than the originals, plus twin pedals to make them more flexible as well. 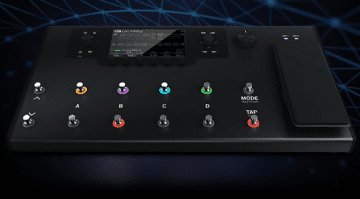 The Tender Octaver adds a new pitch control to the effect and allows you to create harmonies with the two synthesised voices with a +/- one octave range. You can now access your four presets via the extra footswitch and so you can program in a few favourites for your set. Then you have volume, tone and pitch controls for both sub and upper octaves, so you can control them properly. The pedal is stereo out and has an external input for an expression pedal to control octave pitches. With modulation effects including phasers, chorus, tremolo, lo-fi filters, ring modulation and some pitch effects as well. I’m not sure how great these will actually be, but JOYO has included two independent processing modules to create said effects. Again you can control the parameters using an external footswitch/ expression pedal, plus you can achieve a Leslie type acceleration pedal for some of the effects and the pedal is also stereo out as well. You also get a tap tempo function for the effects, so you can sync them easily live. 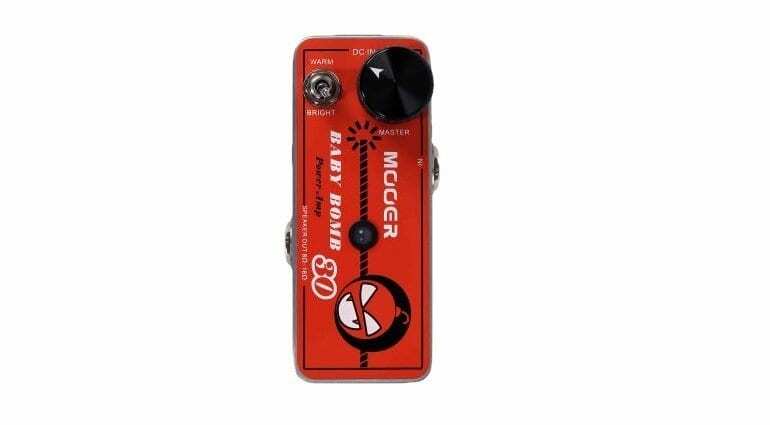 The new Baby Bomb 30 is a pedal format 30-watt power amp with either an 8 0r 16-ohm output. This shrunken guitar amp is a similar idea to the amps from other manufacturers like Electro Harmonix for example, that make a pedal based power amp. Put it this way, I think they are a handy thing to carry around in a gig bag, but I’m not sure I would have one as my one and only amp. Mooer state the usual ‘valve amp like’ marketing spiel, yet I will reserve judgement until I actually hear one. I also think 30 watts of transistor power is not really that useful in real life gigging scenarios and that any drummer will drown you out straight away. But still, its a neat pedal and could be handy to own. 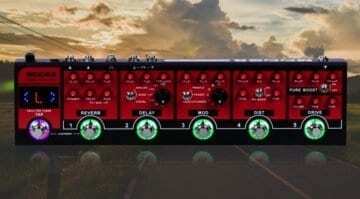 Last up is the Mooer Red Truck which is a floor pedal multi-effects unit and combines boost, overdrive, distortion, modulation, delay, reverb. Plus a built in loop switcher and guitar tuner. It has stereo outputs and you also get a speaker-emulated record output as well, so handy and makes this a flexible solution potentially. 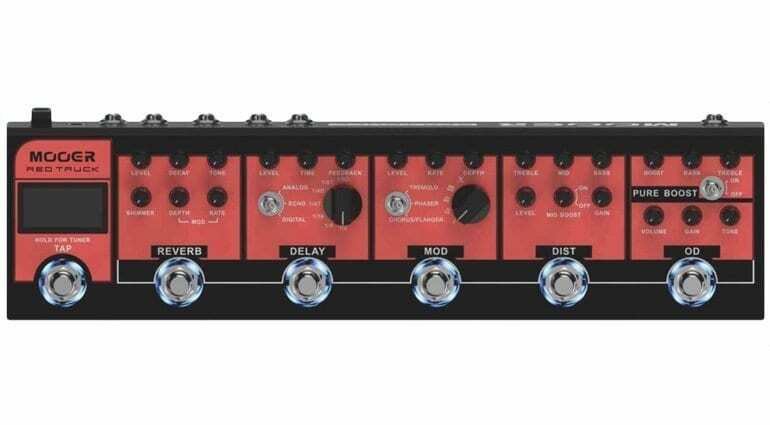 The drive effects are all analogue and the rest of the unit is digital, you get the obligatory tap-tempo for the modulation and delay effects and you can use the external effects loop to integrate your favourite stomp boxes easily into the built-in effects via that external looper, which allows you to control them. It has a headphone out for quiet practice as well and will ship with a carry case, making this a handy unit for those of us that want a decent range of tones, without lugging around a ton of pedals. 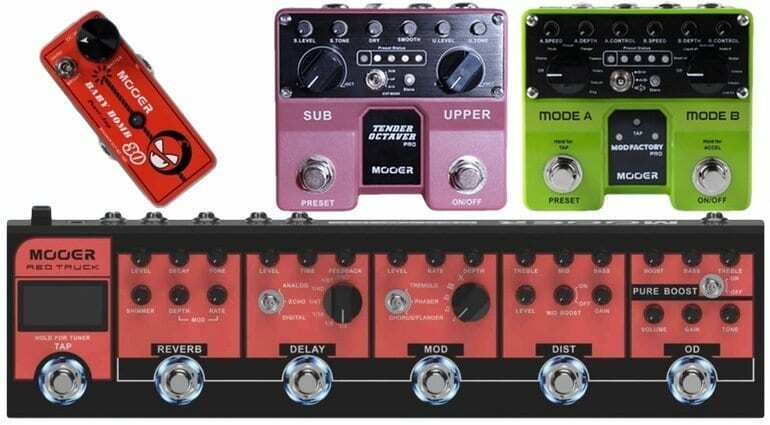 These new releases from Mooer are all due out 30th April and hopefully, we shall start seeing and hearing some audio demos around the time of next week’s Musikmesse show. Potentially these new products could be some bargains for many players, dependent on how they sound of course. 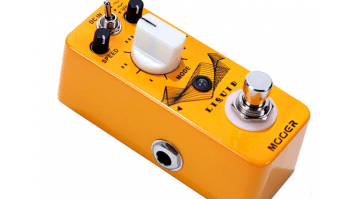 Mooer Liquid Digital Phaser Pedal – Mini modulation for the masses?